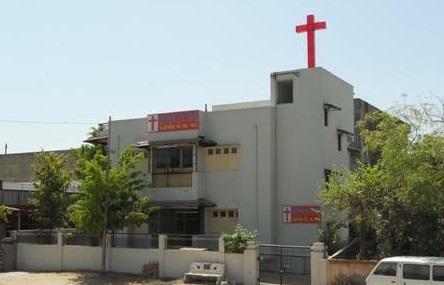 Find hotel near Rehoboth Christian Assemb ..
Rehoboth Christian Assembly is a greatly revered church among the Christians in Ahmedabad. The place was established by RCA Committee to spread awareness about the Bible study and provide understanding amidst people of the religion. It is a good place to visit if you are seeking some spiritual time. The serenity of the place will provide you with the peace and help you unwind. It will also help to get more insights about the varied aspects of the bible and get a better understanding of it. Not to mention it draws a lot of visitors too creating a great opportunity to interact with locals and make friends. How popular is Rehoboth Christian Assembly? People normally club together City Museum and Prahlad Nagar Garden while planning their visit to Rehoboth Christian Assembly. I CAN FEEL HERE PRESENSE OF GOD THE FATHER AND THE SON AND THE HOLY SPIRIT. God is leading our members mightily, we need all your prayer and support. Remember every prayer you do, you are striking a hammer on your prayer request, so the more the hammer you strike the more fast God will fulfill your prayer request !